Aeroparts is a supplier of specialised consumables for the Aerospace , Military , Mining , Gas and Industrial Engineering markets in Australia. Aeroparts is an online store designed to help Australian small,medium and large businesses offering an online solution to managing their ongoing aerospace grade products and consumable needs. 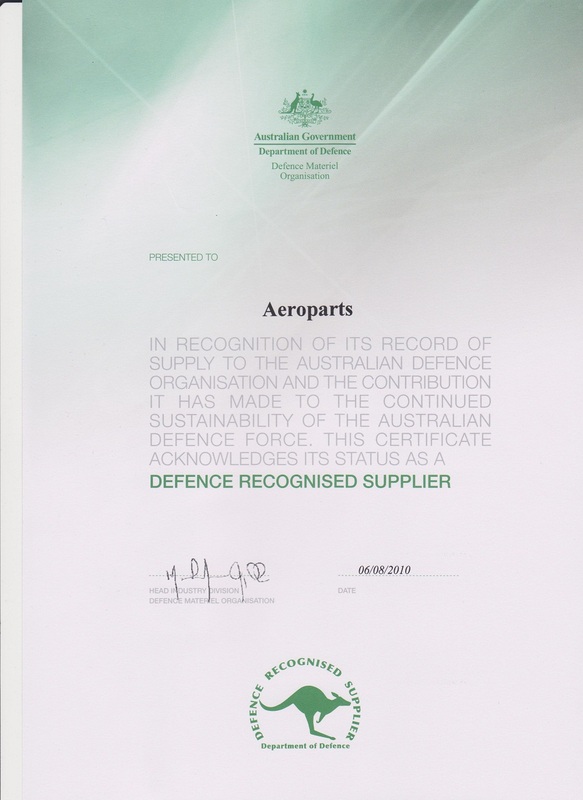 Aeroparts has demonstrated it's ability to be a supplier at the most demanding level in Military Aviation where our product support capabilities have been used by Royal Australian Air Force , Navy and Army. Aeroparts aim is to be trusted supplier of Aviation derived consumables being used in new developing industries from large complex aerostructures , metallic or composite technologies , specialised chemical management for gas turbines and Unmanned Aircraft systems.